Tired of spending your Valentine’s Day in the same neighborhood restaurant? Or worse…watching TV? This year, get away and discover one of the most romantic and charming cities around. Destinations for all ages and budgets…let us take you! Venice is the eternal city of romance. This is THE most famous destination for a romantic getaway. Visit the historical monuments, museums or theaters. 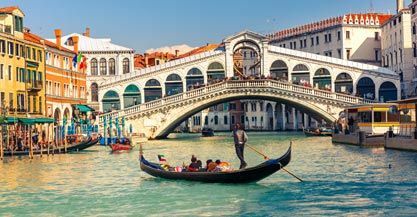 From the Doge’s Palace on the famous St Mark’s Square, to the Lagoon Islands, passing through the Palazzo Grassi and the Grand Canal, Venice will amaze art and culture lovers alike. Make a stop at the Caffe Florian and discover their delicious pastries. To have a fantastic evening, enjoy a ride in a gondola on the Venetian canals, under the stars. Then continue with a dinner in a nice restaurant near St Mark’s Square. Enjoy a glass of Italian wine savoring antipasti. 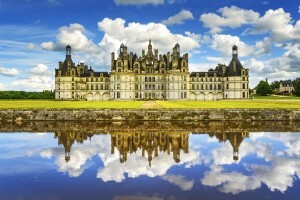 Are you passionate about good wine and castles? Then there is probably not much more could you wish for to celebrate Valentine’s Day! 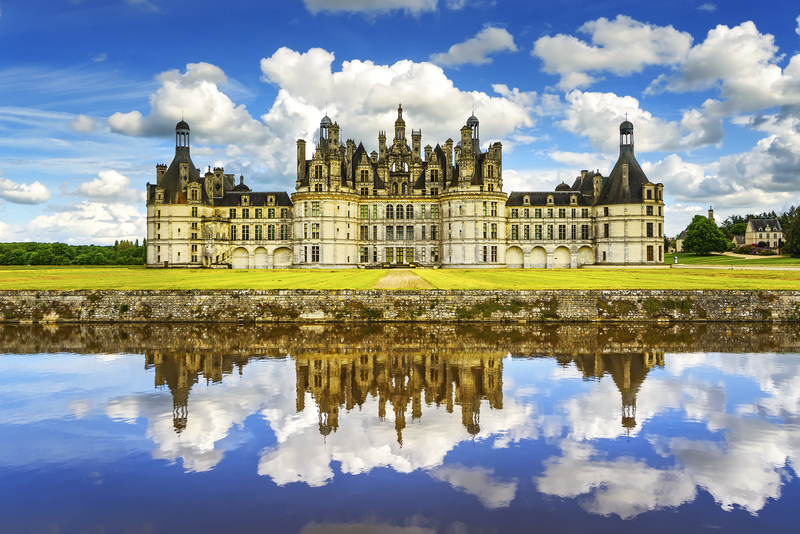 The Loire Valley is a magical and romantic region…it offers Renaissance castles, parks with centenary trees, towns and villages of art and history, beautiful landscapes…But above all, it offers a unique enological heritage “made in France “! Enjoy this area classified as UNESCO world heritage site and follow a relaxing program! Visits fabulous wine estates, have your first flight in a helicopter, do some tastings in the many cellars and vineyards, relax at a spa in a castle, savor gourmet dining and top it off with a romantic evening in a lovely guest house. 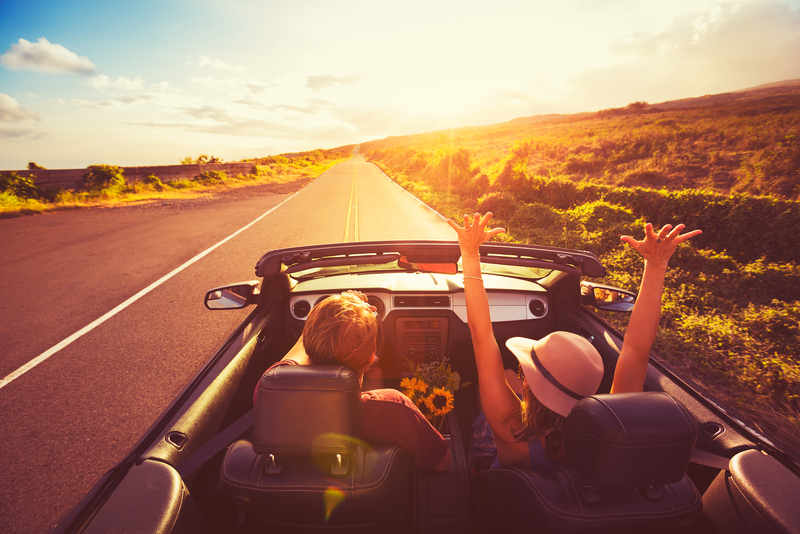 You are guaranteed to have a real holiday to think just about the two of you! Can you feel the love already? 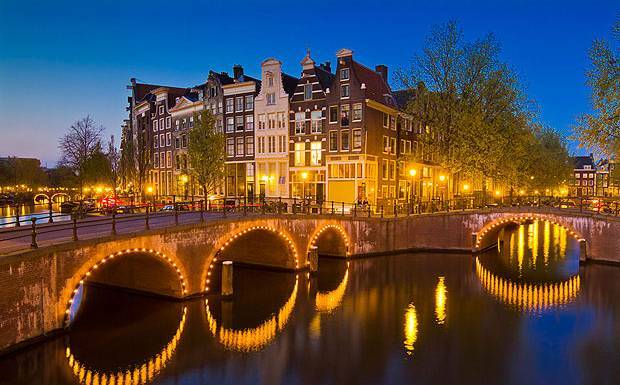 Amsterdam is a charming city, ideal for a romantic break. 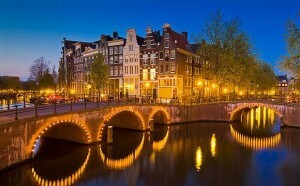 For a first discovery, enjoy a cruise on the canals where you can observe the architectural wealth. Then, offer a nice bouquet of tulips to your beloved when walking through the floating flower market on the Singel canal. Then, test your culinary senses … at Ctaste, a restaurant where you dine in the dark! (No need for make-up, girls!). Finally, let yourself be carried away by classical music notes in the fabulous setting of the concert hall named Concertgebouw. Finish your weekend by kissing on the famous Magere Brug or, “skinny bridge”. Legend has it that couples that take a long kiss over the Amstel River will love each other forever. So cute! 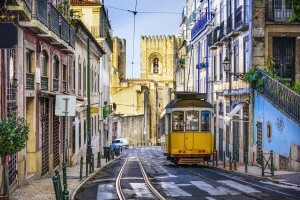 Spend Valentine’s Day in Lisbon … A gentle idyll. Go for a romantic stay in this wonderful capital city, combining history, friendliness and traditions … all of this right by the ocean! Stroll in the heart of Alfama, the old district full of narrow streets. Then, take the famous tram no. 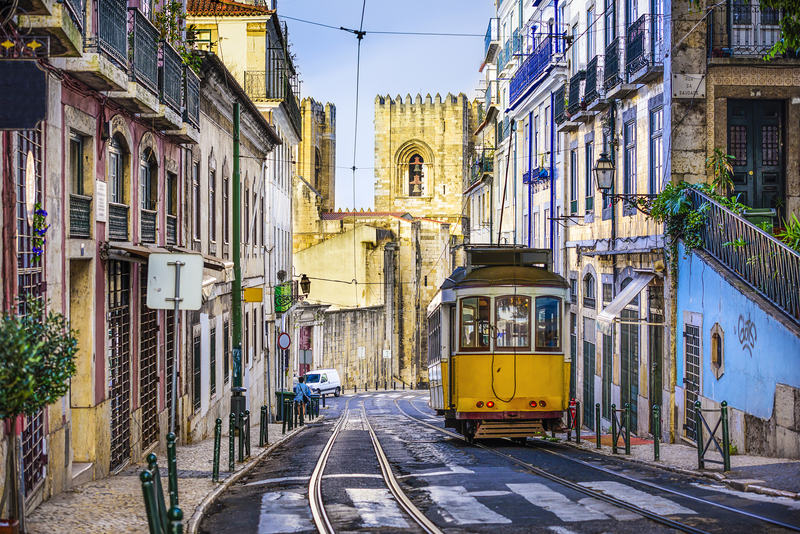 28, which will transport you to the city center and to São Jorge Castle, built in the fifth century. Visit Belém: the Jerónimos Monastery, the monument to the discoveries at the edge of the Tagus and the magnificent Belém Tower (UNESCO heritage site). That is where navigator Vasco da Gama’s caravels set off to discover India. Finally, taste the famous Pastéis de Belém in the official pastry shop. If time allows it, go out of the city and discover the National Palace of Sintra. When night falls, give yourself a break, have a drink in a bar in Bairro Alto and let yourself be carried away by the songs of the traditional Fado. 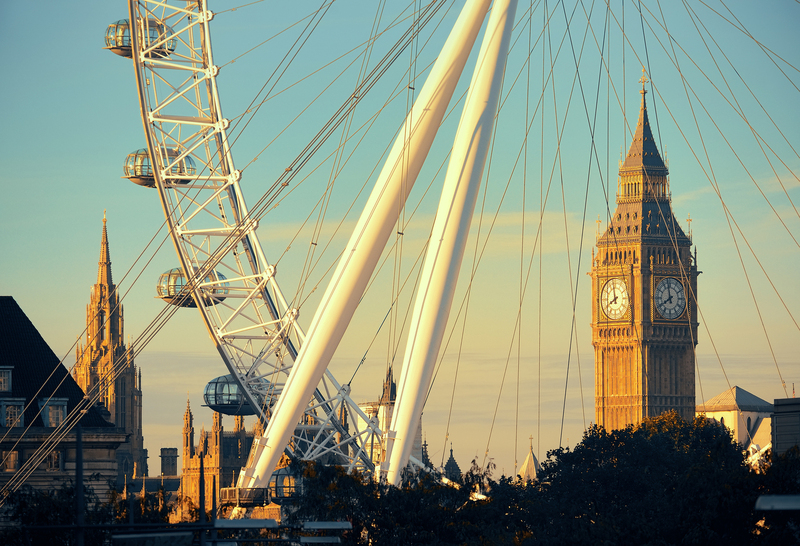 London is the destination of choice for young couples looking for an ideal lifestyle. 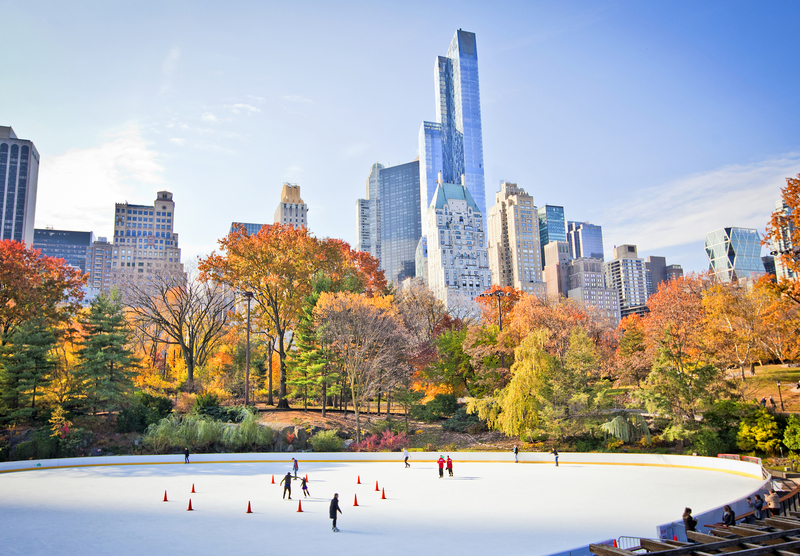 Cool, trendy and spectacular…It is the city of dreams! Walk around the neighborhood of Notting Hill. Your girlfriend will be reminded of Hugh Grant but have no fear, you are much better looking! Admire the pretty colored houses of Portobello Road and dig up treasures at the flea market. Fancy shopping? Head off to Oxford Street, Regent Street and Piccadilly Circus…There you will find happiness! Take a detour through Trafalgar Square and visit the famous National Gallery, a museum featuring the works of the greatest artists: Cézanne, Ingres, Klimt, Monet, Michelangelo, Rubens, Renoir, Rembrandt, Van Gogh, Velazquez, Vinci and many more! End your day walking across the Tower Bridge over the Thames, then fly to the moon on the London Eye, the Ferris wheel installed in 2000. Finally, treat yourself to a true romantic evening by going to see a musical at one of the theaters on the West End. First, rejuvenate at the Szechenyi Baths, one of the largest medicinal baths in Europe, built in the early 1900s. Then, awaken your senses thanks to the flavors and fragrances of the large Central Market, the oldest covered market in Budapest. Admire the stunning view of the Danube riding along the river on tram no. 2. 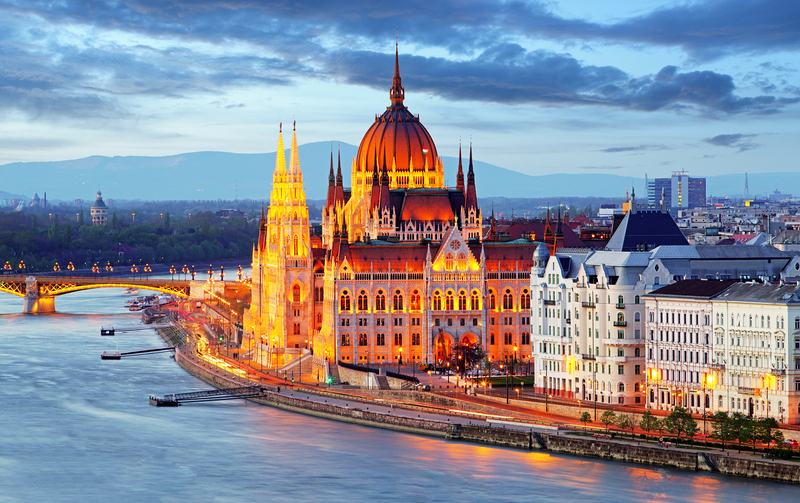 Finally, observe the beautiful monuments of the city by night: the Parliament, Buda Castle, St. Stephen’s Basilica and more. End your evening at the Szimpla, elected third most beautiful pub in the world by Lonely Planet! A romantic program that revolves around only the two of you, to make your weekend together perfect. 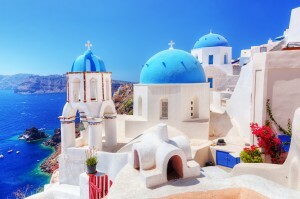 Santorini is a paradise island located in the Cyclades in the middle of the Aegean Sea. With this dream location, it naturally stands out as one of the most romantic places in the world. 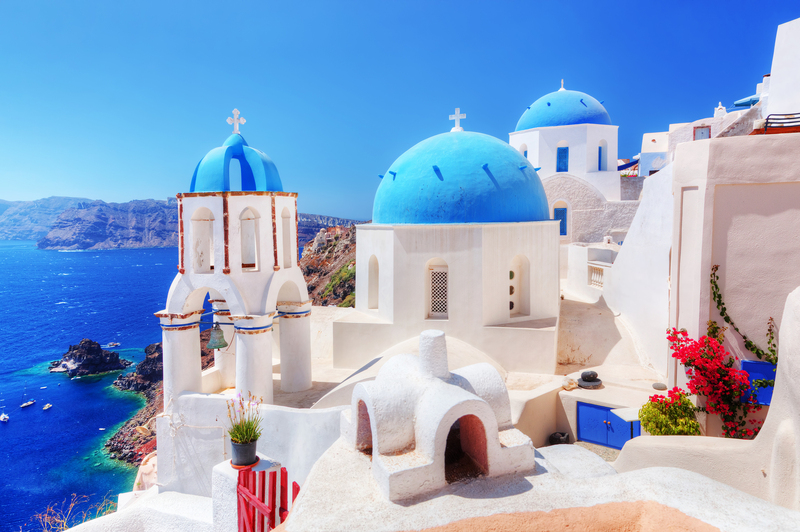 With its white houses with blue roofs, small churches, breathtaking sea views from Fira onto the Caldera, incredible cliffs…we understand why! Start your visit by taking a donkey tour, very typical! The mild weather will encourage you to discover the charm of the small villages and their inhabitants. Continue your journey by visiting the vineyards. Among the most famous wine grapes we can mention: Assyrtiko, Athiri and Aidini for whites. And for red varieties: Mantilara, Mavrotragano and Voudomato. You can see how they press the grapes and have a nice glass afterwards. Go on a boat excursion to watch the smoke and lava from the volcano. Be amazed by the splendor of the land and seascapes. Finally, end your weekend relaxing in the volcanic hot springs at 30°C. 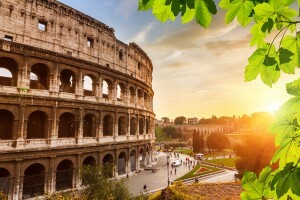 Fancy a getaway in ancient Rome? 😉 Head off to the Italian capital for some Dolce Vita and lots of glamour! Sip on a ristretto at a terrace if the weather allows it and enjoy a tasty Italian gelato. To end the evening, take your beloved out for dinner in a good restaurant by candlelight and enjoy the typical dishes. Finish in style with a “pick me up”, better known as “Tiramisu”. We’ll let you guess why. 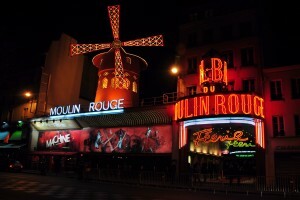 Paris…It is the top tourist destination in the world but it is also has got to be THE most romantic city! Start your day with a cultural tour by visiting the Louvre. This is probably one of the few museums where you enjoy (re)-discovering incredible masterpieces of the most renowned artists. In the evening, smarten up and go out. Choose amongst theatre, cinema, opera, cabaret at the Crazy Horse or the Moulin Rouge…You are spoilt for choice! Make this a special evening, magical and unforgettable. 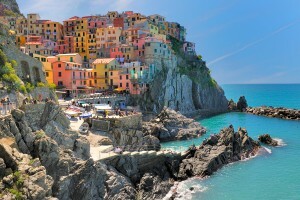 Want to wander around the picturesque streets of Italy? Take a photograph of the colorful houses? Be charmed by these terraced landscapes? 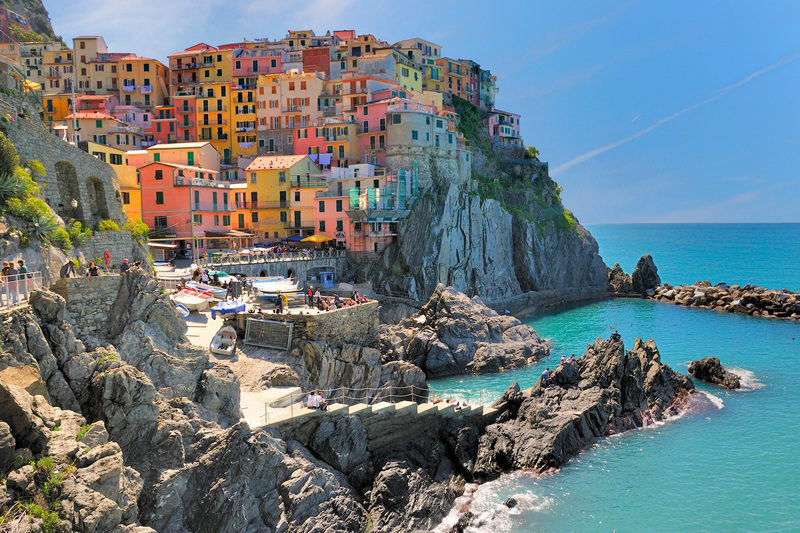 Like beads on a rosary, the villages of Cinque Terre tumble down towards the Mediterranean Sea. Built on the cliffs, they are connected by the thread of century-old vineyards. Monterosso, Manarola, Corniglia, Vernazza and Riomaggiore, these are the names of these 5 authentic beauties, known for their extraordinary character and classified World Heritage site by UNESCO. Stroll beside the small coves of turquoise water, to the rhythm of the songs of the cicadas and inhaling the sweet smell of pine trees…A Valentine’s Day for the nature lovers. Do you want to spend Valentine’s Day in a towering city that knows no sleep? Then New York it is! The program includes a lot of visits! Monuments abound: The Statue of Liberty, the Empire State Building, Ellis Island, the Charging Bull on Wall Street (touch his nose or his testicles for good luck! Who knows, it might pay back your holiday). Go through the famous Grand Central Station. Actually, many films were shot there: Falling in Love with Robert De Niro and Meryl Streep, Eternal Sunshine of the Spotless Mind, I Am Legend, Avengers or the hit series Gossip Girl. 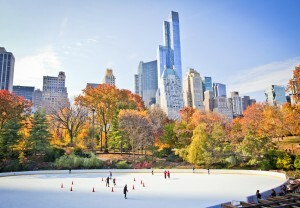 Walk hand in hand together in Central Park and go ice-skating…What could be more romantic than that? Finish your day doing some shopping on 5th Avenue. Have dinner at Time Square and go on a ride in a limo across the Brooklyn Bridge while admiring the amazing panoramic view of Manhattan. On Sunday morning, how about attending Mass in Harlem to hear some mesmerizing Gospel? 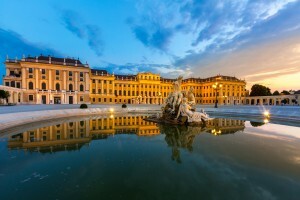 Vienna is an ideal and surprising destination for a romantic getaway. You will find: Breathtaking baroque architecture, symphonic music, succulent pastries, masters of painting and a vanguard culture. 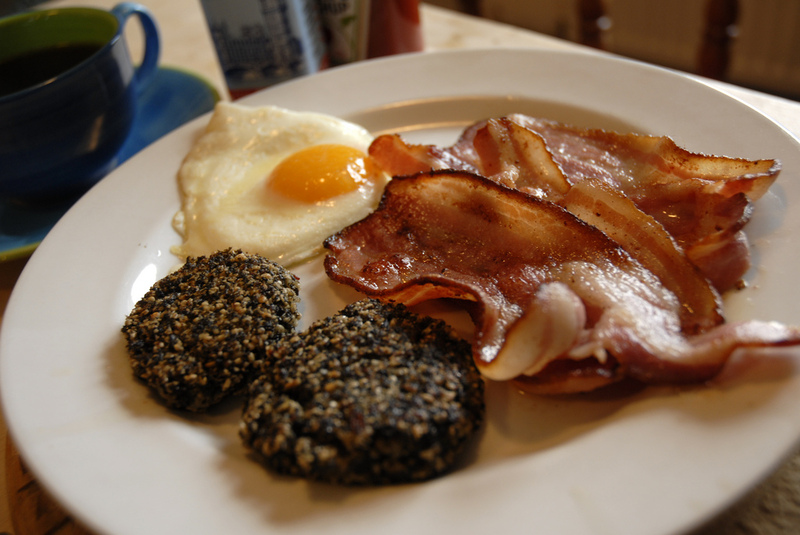 Start your day with a hearty breakfast: Hot chocolate milk and Viennese pastries! What else? For shopping and entertainment, head towards Stephansplatz. That’s also where you will find St. Stephen’s Cathedral. It goes without saying that it is a very touristy and lively area! To finish off, go for a walk in the museum district, comprising among others the “MUMOK“, the “Leopold Museum” and the “Kunsthalle“. Also, do not miss the Vienna Secession, which contains most of the works of the famous Gustav Klimt. This area also has bars and restaurants where a lot of the hipsters go to. 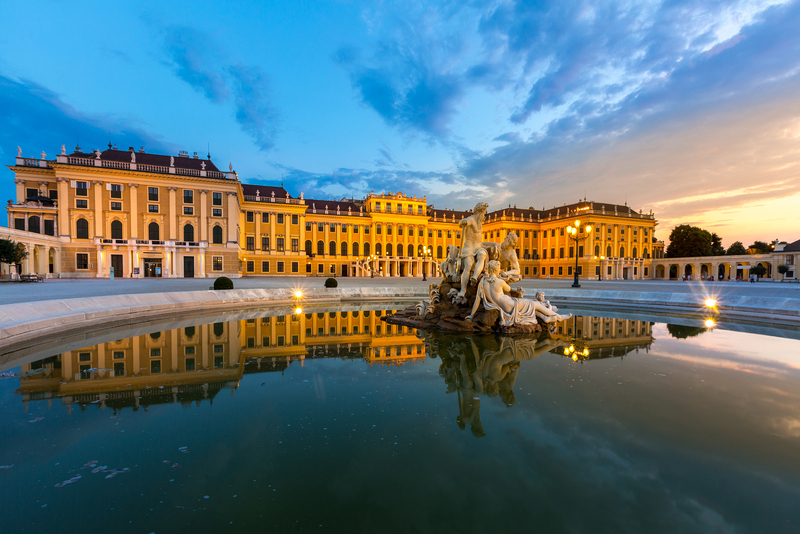 Tip: Visit the Mozarthous, which is the only surviving residence of the composer in Vienna. First, treat yourself to a canal cruise and enjoy a peaceful moment to admire unusual sites. 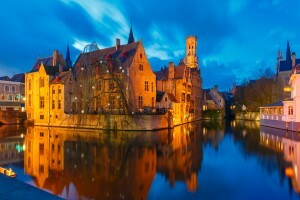 Then, discover the culture and the Belgian heritage! 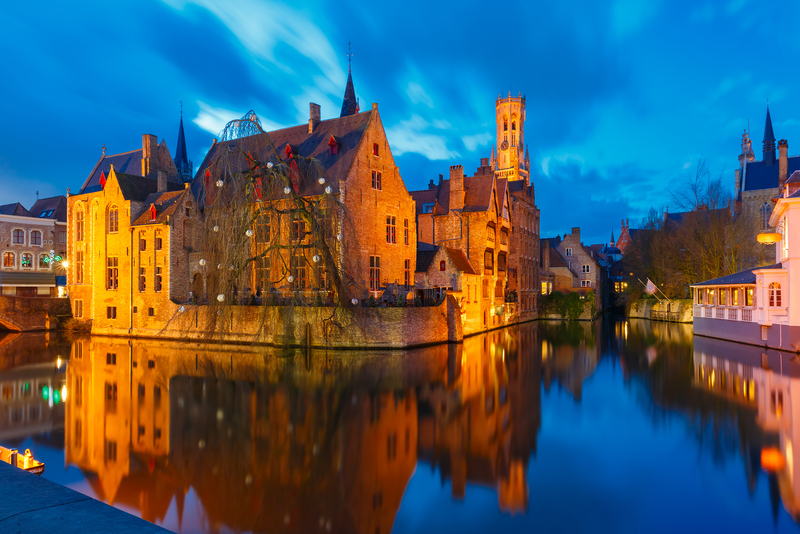 Visit Bruges’ beer museum, the diamond museum (to put a ring on her finger 😉 ), the chocolate museum, the lace museum…and for the foodies, the fry museum! For an unforgettable Valentine’s Day, explore the city from the sky…in a hot air balloon (Bruges Ballooning Agency). You will have an exceptional view and observe the Belfry several meters off the ground. The trip lasts 3 hours, you can order champagne and it is even possible to be picked up from where you are staying! 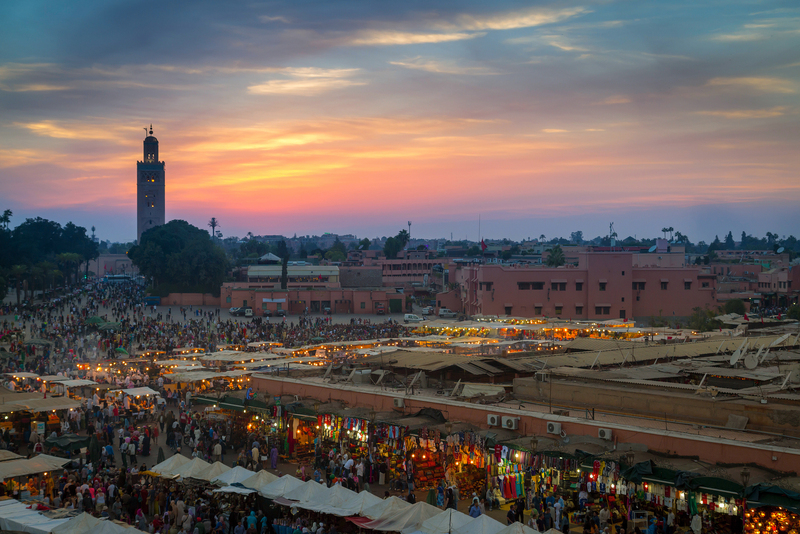 Vibrant and exciting destination, Marrakech offers a perfect blend of culture, beautiful landscapes and fascinating architecture. As a couple, enjoy the luxury of a real oriental hammam. After the scrub with black soap, unwind with a relaxing massage done with warm argan oil. Stroll through the romantic Menara gardens, among the olive trees and ponds or the Majorelle, a botanical garden that belonged to the fashion designer Yves Saint Laurent. Finally, visit the Bahia Palace, a masterpiece of Moroccan architecture as well as the Museum of Marrakech, and marvel at the typical regional mosaic. Gaze at the sunset behind the Atlas Mountains. A show not to miss! 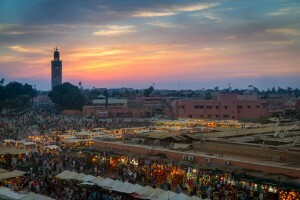 End your evening by enjoying a good couscous cooked before your eyes in the market stalls. Much better and cheaper than in the restaurants for tourists! Want to spend a festive holiday? If you go to Brazil for several days to celebrate Valentine’s Day, you will probably be there at the time of the Rio Carnival. What a timely coincidence that is! During this 5-day holiday, the entire “Marvelous City” awakens. 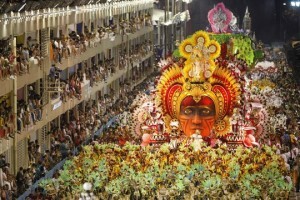 It’s a real frenzy, a happy atmosphere, an invitation to joy … The streets are crowded with people until dawn. Costumed parades, songs, dances, music and orchestras…It’s a real celebration not to be missed! Anything else? You can also walk along the beaches of Ipanema and Copacabana, climb Sugarloaf Mountain and take pictures of the famous statue of Corcovado. You may also want to go hiking in the Tijuca National Park and explore caves and waterfalls. If you still have energy left to spend in the evening, treat yourself to a class of samba!